Today I am sharing a few of my favorite things!! Since it is December I guess it counts as a gift guide as well. Many of the items I am sharing today are food related, but not all of them. All of them are items I use and LOVE. I think you will too. 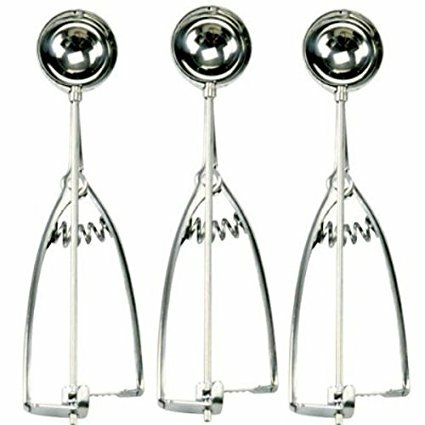 Cookie scoops are one of my favorite inexpensive, but very useful kitchen tools. I use them for cookies, but they also work great for things like meatballs. You can find these many places, but I love these Cookie Scoops. These make a great gift! Who doesn’t love pyrex? I think it is a staple in most kitchens. One of my favorite gifts to give is pyrex. 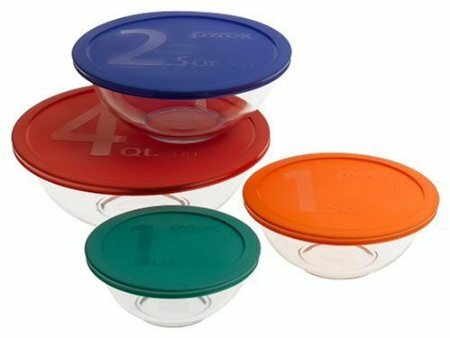 In fact, I bought 9 sets of pyrex to give as gifts this years. Pyrex Bowls are one of my favorite Pyrex items to give because they are great for mixing things, but also work for serving and for storing leftovers. I have mentioned my love of my Yeti cup many times. I love it. My dad and some of my readers told me how great some of the off brands are so I finally got an Rtic. Rtic is one of the highest rated off brands and people love it. If you have been wanting a Yeti this Rtic Tumbler is a great option without the expensive price. I still like my Yeti slightly better, but the Rtic is close. For the price Rtic is great! I have worn a Fitbit for years. Over three years at least. I think closer to four. I had one of the early models and have owned several since then. I LOVE them. I have worn step counters for years. I used to wear an old clip on your waistband pedometer type one. 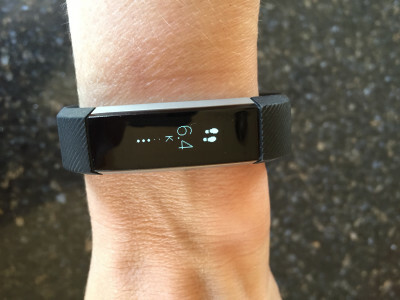 The newer modern Fitbit type ones are so much better. I need to do a whole post on my love of pedometers and Fitbit, but for now I will say that the number one way I stay in shape and control my weight is that I track my steps. On days where I sit on my backside way too much, it motivates me to move around. Even if it is just for a quick walk or moving around the house more, it gets me moving. It also helps me think more about what I eat. On low step days I realize I have not moved around as much and I try to eat less. If one of your goals for 2017 is to get healthy and/or lose weight, I highly suggest tracking your steps. I bought the Fitbit Alta earlier this year and love it. It is my favorite of all the Fitbits that I have had. My daughter has the Charge and she loves it. Both would make great gifts. It is no secret that I love to read. I love real paper books, but I also love ebooks. 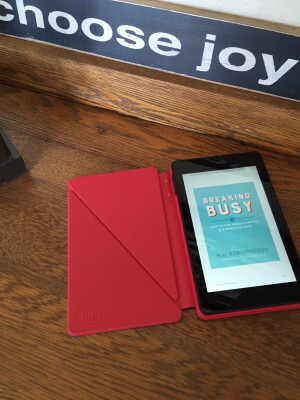 I love my Kindle because it is an easy way to always have a book with me. My kids love them for the same reason. My son reads so much more since I bought him a Kindle earlier this year. The Kindle and the Kindle Fire are both good options for anyone who loves to read and Amazon has some great prices on them for the holidays. If you have looked around Pinterest or recipe sites online in the last few months you have probably heard about the Instant Pot. It is basically an electric pressure cooker. I bought one earlier this year and I love it. Love it! 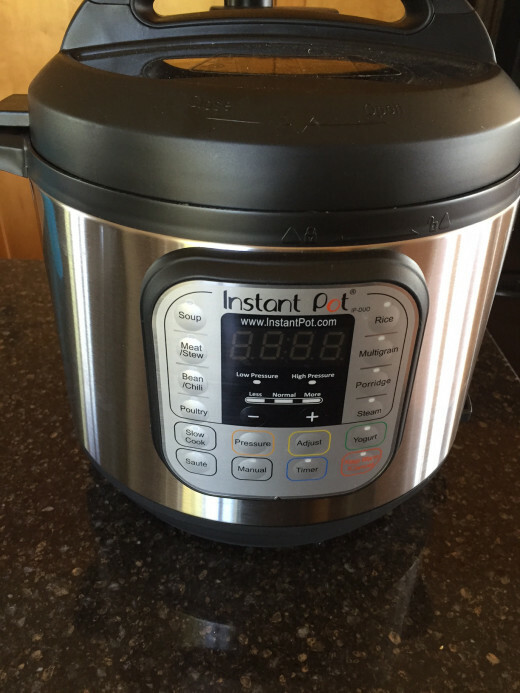 Last month I shared a big list of Instant Pot recipes that I keep adding to. If you have an Instant Pot or are thinking about getting one be sure to bookmark or pin that post. It is a great resource for Instant Pot recipe ideas. USA Pan is another item I have talked about many times over the years. I love their pans. I own the cookie sheets, muffin pans, bread pans, pizza pan, and more. I am slowly replacing all my pans with them. Nothing really sticks to these pans. They bake evenly and clean up great. 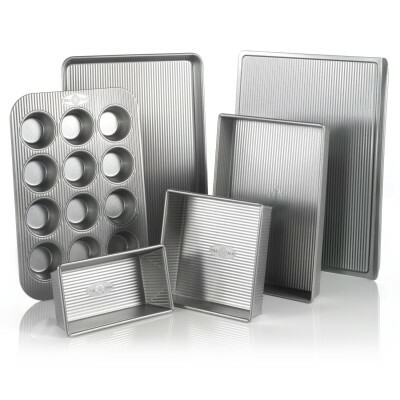 They are my favorite pans to use for gluten free baking. I pretty much consider them a must have for gluten free kitchens. Any USA Pan would make a great gift or addition to your kitchen. 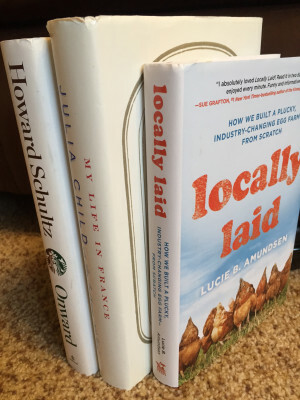 I recently shared some of my favorite food related books. If you know someone that loves to cook and loves to read I shared Seven Fun Food Books. 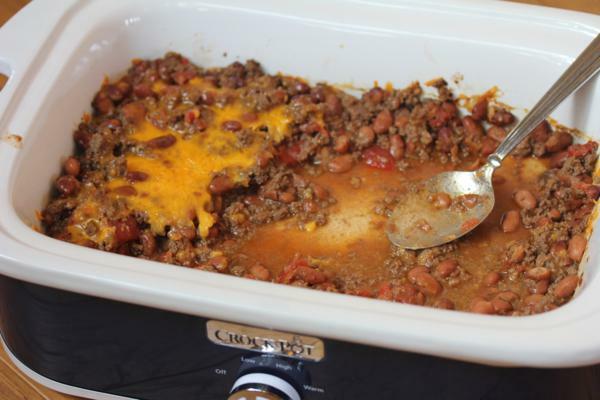 My Casserole Crock Pot is another item I have mentioned quite a few times. I love and use this all the time. I have even shared some of the ways that I use it. It is one of my favorite and most used kitchen tools. It works great for holiday cooking. It would make a great gift or addition to your kitchen. I love gift ideas so I would love to hear what is on your holiday wishlist? Or what item are you excited about giving this year? Hubby is giving me an Instant Pot for Christmas. It’s already wrapped and under the tree. I can’t wait to try it out! I hope you enjoy it! I have been using mine several times a week, so I will have lots of recipes to share after the first of the year.